Page Parkes Model + Talent: Taylor Dixon for Austin Monthly Magazine March 2014! Taylor Dixon for Austin Monthly Magazine March 2014! Guess who landed an 8-page spread in this month's issue of Austin Monthly Magazine? Our gorgeous Dallas model Taylor Dixon! 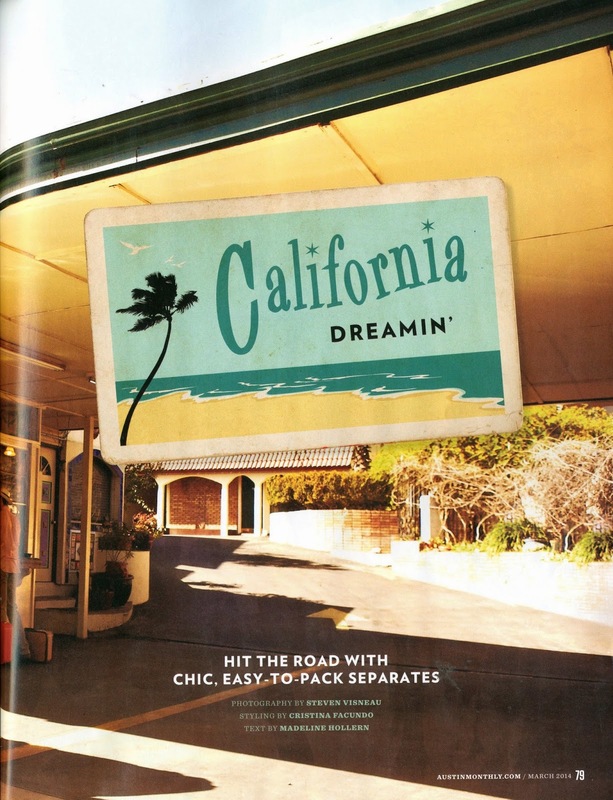 From bold colors to spring patterns, we love this editorial on California Dreamin'! Click to see more from the editorial and an interview with Taylor about her editorial spread! 1. Since you are a California native, was this photoshoot right up your alley? Being a California girl, it's hard to find the same style here in Texas. However, if any team could accomplish it we certainly had! 2. Where was the location? Did it remind you of California? The shooting location was at the Austin Motel in Austin, Texas. It is such an awesome location! All the rooms are completely different and it definitely has a bit of a California feel. We also lucked out with weather that day! 3. What did you think about the styling? I absolutely loved the styling! I'm not a typical girly girl and my closet is very dark, but every outfit I wore I fell in love with (Bright colors and all!!)! My favorite outfit was the one by the pool! 4. Since you have been modeling for many years, what advice can you give to other girls trying to make it in this industry? Modeling isn't just about being pretty and knowing how to work the camera. I believe it's a full time job. You have to learn how to present and carry yourself in crazy situations. People skills and networking are two of the most important skills to have. It's a career that can be so rewarding in many ways! Girls need to understand that it goes way deeper than being beautiful.